Retired: How do I get motivated and get moving? "Retiree Happiness" I haven't figured out yet. 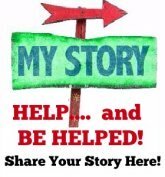 I enjoyed reading through some of your stories because my experience is so much the same. I've been retired for 1 1/2 years. My husband is also retired and doing fine with it. I think this makes it harder for me. He loves to play jazz, fish, build stone walls etc. I can't relate to those things. The mundane tasks that face me each morning make it hard to get out of bed. Housekeeping to me is so unfulfilling. I retired from a fulfilling teaching career that focused on young, at risk students who needed my help reading. I also taught dyslexia students. I was worn out after years of it........but haven't searched out any opportunities. I feel like I can't commit to anything because I have two 90 year old parents who live in a different state and I try and stay in touch often. I want to go out there more often, but my depressed mood holds me back. My therapist encourages me to focus on how much I do for them and have always done. That helps. And I finally believe she is right. I've started doing a few things like sing in the church choir and participate in a book club. We also just took our first square dancing lesson, so hopefully that will help. I apologize for whining - I just needed to vent. I never thought retiring would be so difficult. On a positive note, I have two darling granddaughters who live about 4 hours away. And, there is another baby on the way. I'm determined to see them more. I think it will be very healing. Wendy: Marie -- Why don't you advertise and TUTOR dyslexic kids? Tell the nearby school and they might mention to parents who need help. You'd do an hour or two a week... make a few bucks, keep connected with teaching but only one child tutored at a time. Just a thought. The rest... its not always easy. You need something to get up for in the morning. Some interest or hobby that you enjoy doing, perhaps finding a local group to connect with the same interest. p.s. Another thought, do a website on helping dyslexic kids... moms would read it and be able to help their own kids, homeschooling moms would use it. You might make a nice income doing this... if you are a writer and enjoy sharing your teaching with the world. Comments for Retired: How do I get motivated and get moving? Wendy: My guess is that you are the man from Japan, am I right? (no name left). Yes, Wendy you got it in one. I do sometimes download religious broadcasts and watch them on TV. But, it really isn't the same as being in a real church with its spirtual atmosphere, particularly at times like Easter. I'm not really complainig, just stating a fact of my life. Generally speaking, belonging to a community is important. Mind you my neighbours are very friendly and always say hello and wish me well. This weekend my wife and I will meeting up with our daughter who works in a city which is about a three hour drive from here. Wendy: Yes, it does take time... Kudos!! It's good to vent and get things off your chest sometimes. I too have a problem with retirement. Not fully adapted to it yet. Not sure if I ever will. I live in my wife's country, which is non-english speaking, so it's somewhat difficult to join community groups etc. There is also no church where we live. So, in a way, I envy you a little. I've taken up gardening; walking, exercise and teach English privately to a few students at home. I keep in touch with old colleagues, friends through the internet and plan to visit England for a holiday later this year. Anyway, not sure if all that is helpful. But, you are not alone. On church, have you ever considered iTunes? You can download their software free and there are many FREE speakers and such on there. Joel Osteen is a huge preacher here.... and I enjoy his sermons on TV every Sunday. Yes, a TV Preacher -- but listen to him first, before you judge.. grin! There are classes there, lots of speakers on a variety of different topics, and more Christian sermons and such. You might simply enjoy hearing English again!! I meant to thank you for the article regarding "becoming unmoored." Sorry, I misread. Hi, Hans: Thanks so much for sending me the link to the article by Jerry Blankinship. That really nailed it for me. It describes so well what I have been living through the past 1 1/2 years. It feels good to have my experience validated by others. I have been thinking of myself as a "retirement failure." His comments about the importance of developing a routine are wise. This is something I haven't done, except for a few activities (choir practice and square dancing, book club). Monday is my hardest day as the week looms before me. i have so much time to accomplish so much. Too much time. I've made efforts in this direction, tho, and am beginning to target small tasks around the house. I praise myself when they are completed and go easy on myself if I can't keep the momentum going. There is no room for guilt during this transition. I could say more, but want to ask you how you are doing? Again, thank you for the link. Thanks, Jane, for the encouragement. What you point out makes a lot of sense - especially, "Hell no it isn't easy." It's interesting how we made so may decisions in our working lives that forced us into 'traditions, yet when those working opportunities go away, 'change' becomes frightening. Just think of all the mentoring you did for others, and the transitions you made to make it all fit, and then use that knowledge and power to make your own transition. Easy? Hell, no! but you've got all that it takes. It was helpful reading all your comments to my post and I appreciate you taking the time to respond. I like the idea of learning to enjoy a more peaceful life and that I'm not whining. It really is an adjustment isn't it? And it's a journey. I laughed when one of you said "remember what you didn't enjoy about teaching." It was rewarding, but GRUELING! LOL How soon I forget. One of you mentioned volunteering at a hospital. That's something I've thought of and it does appeal to me. Maybe that is a place to start. Another insightful comment about "worrying about my parents" is so true. I empathize with your situation and I wish you success in turning a corner if you stay retired. I certainly don't know enough from your letter to give you advice about finances or psychology. However most formerly productive and now-retired employees I know tell me there is a loss of identity when a job is gone and I certainly struggle with my own feelings of loss and depression. I started by wanting to recapture the feeling of satisfaction and even predictability I had before but I am going through a major adjustment to a new "Who am I?" and I don't think it is easy for anyone to reinvent themselves. Most of the advice on the web, in my opinion, is good advice but misses the concept of time it takes to change directions. I'm attaching an article link that captures one man's experience. Perhaps knowing your feelings are shared will bring some comfort and hope. Transition to Retirement can Leave People Unmoored. Hi! I too am a retired teacher - 39 years of high school world and Russian history. It was not an easy adjustment for me to leave a world full of adoration /drama. :) My husband has one more year of teaching. I will be glad to have him home with me. I think it is tough on people who have been around many people in their careers. We have no family where we are and our daughter lives in NYC. (But the 3 of us are very close) I am not a good housekeeper either, but I do well enough. I think acceptance will come to you and you will get motivated. People ask me why I don't substitute. I am not bored. I just want to be useful, and I have no desire to return to the classroom. Take it one day at a time. It might take therapy and some meds, as it did for me, but eventually you will adjust to your new life. Try to think of the things you don't miss from teaching. I still talk to some of my colleagues, and I see it just gets tougher each year for them. It's crazy! So when I get down on myself, or the lack of dramarama in my life, I just try to be grateful for my simple, peaceful life. I have some volunteering work also, and plan on more. As Wendy suggested I am sure they could use you for tutoring. Maybe you would enjoy that. You probably know there is a way to go on the computer to find out what there is near you for volunteering. You have begun with church singing and a book club. It will pick up. Good luck. You are NOT alone in your adjustment and you are not whining. It is just another change and few of us like change. Hang in there! I also retired about two years ago. I'm very unhappy and also unmotivated. I applied for several good jobs where I had extensive experience but did not get selected. I don't want one of those minimum wage jobs that many seniors take just to be doing something. I miss having a challenging career. At 59 there does not seem to be very many opportunities out there for me. To make a long story short, I was forced into retirement after my position was moved to another state, cancer surgery, and depressed over the loss of a dear friend while taking him to the hospital. All these events happened over two months. Try helping at the Marsha Sharp Acadmey. HI Marie. I will retire at the end of May. But I already have started on some new and exciting challenges. And I need people affiiliated with churches all over the country to help get my mission off the ground. Forty-seven years ago I wrote a children's story. This past year while I was home from work recovering from rotator cuff surgery, I started thinking about the things I wanted to so. It includes the start up of two different not-for-profits for my community. But the important thing is that I needed to figure out how I could fund even getting these things started. And that led me to consider publishing the Childrens story. As I was 'sort of' working on it. . .I received a spiritual message and now my primary mission is to 'put it [the story] into the hands of the children.' The book was published just before Christmas. I am working with local churches to figure out how to get it to children everywhere. I am partnering with them and sharing the profits so that groups within the church can sell the books to people who want it for their own children and grandchildren and for those who want to help get this message to all children everywhere. The latter buy some copies to donate back to the church to be distributed at mission sites. I have so many plans. For example, this year, to make the story more accessible, I am going to publish a coloring book version with the full story. It will cost less to produce in black and white and I think young children will love to color it. If you might be interested in bringing this idea to your church and perhaps becoming a contact for them to organize the orders etc. please look me up on my web site. It is 'The Spirit of Light' [all one word of course]. You'll find my email address there and can make contact. By the way, I thought the suggestion to host a web site for dyslexic kids was a terrific idea. If you follow up on that I will want to link to your web site from mine. One of my missions is to create a residential-work community for developmentally disabled adults. I have a granddaughter turning 21 who is so disabled. And as a former Art Educator, I had a number of dyslexic students. Today, my own daughter teaches Learning Disabled and Behavior Disordered Children. I hope to add a page to my web site for youngs childrend, hosted by my main character, "The Star Who Almost Wasn't There" from my book. If nothing else I'd love to communicate with you and share lessons learned about hosting a web site for young people. A couple my husband and I recently met that are recently retired, volunteer at one of our local hospitals several times a week. The work she does is rewarding and she is meeting a lot of friends. The social aspect of retirement is so important - we all need to be connected to each other. I think your parents situation is in back of your mind at all times - difficult situation. Look for the things that interest you and pursue them, especially clubs and organizations. You'd be amazed how your outlook will change. Your husband can get involved, or not.